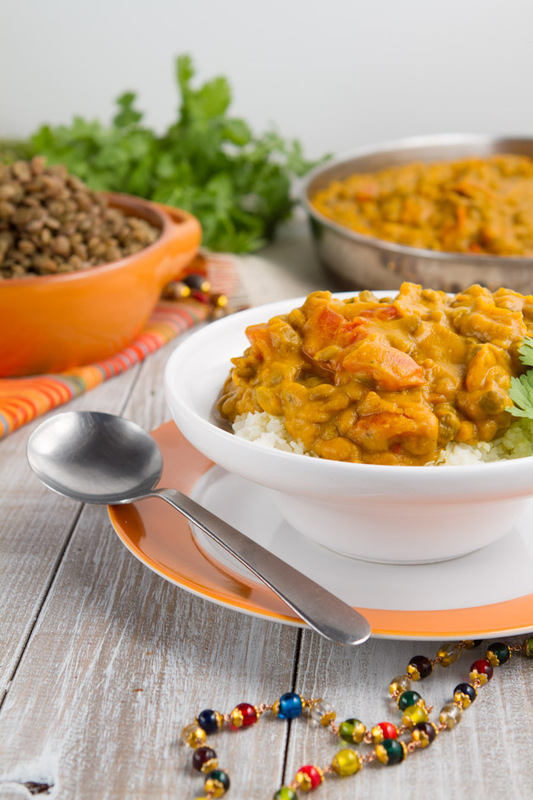 You’re just a hop, skip and a jump from enjoying this sweet and spicy curry all for yourself. It’s one of the best curries that’s ever come out of my kitchen, hands down. It’s vegan, gluten-free, grain-free and awesome. 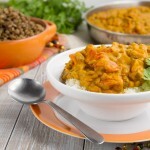 Add lentils to a rice cooker or slow cooker. Cook in the rice cooker for 35 minutes or slow cooker for 3 hours. Set aside. Add coconut oil to a large skillet and heat over medium-high heat. Add onion and saute until translucent, about 10 minutes. Add vegetable stock and squash. Let simmer, covered, for 10-15 minutes until squash is soft. Transfer the squash mix to a blender and add remaining ingredients but lentils and tomatoes. Blend until smooth. Pour mixture back to the pan and stir in lentils and tomatoes. Let simmer for 10 minutes and serve over cauliflower rice.